Good morning SOTGC readers. The title of this post was inspired by having brunch with a couple friends of mine and their daughters. Over the past few weeks my life has had a few ups and downs that I sift through and then seem to keep going back to re-sort. You know that feeling you get when there is something that’s just NOT quite right? However, when you run through a list in your head about what it could be, you can’t quite put your finger on it? So it lingers in various stages of consciousness for as long as it takes for you to figure out it out? That has been the sum of my emotions for the past month. Lorraina and I had just finished a hike and were having brunch with her boyfriend and his two daughters. 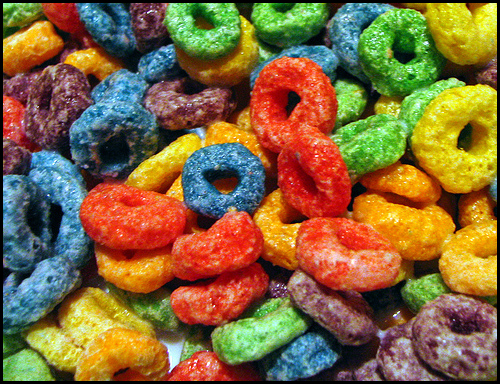 The eight year old sitting next to me (who reminds me so much of myself as a child that sometimes it’s a bit scary) had ordered the “bottomless bowl of cereal” and chose Froot Loops. At one point I looked over and she had managed to get several of them into her mouth, while a few dropped out and back into the bowl. Seeing that I witnessed this, she grimaced and said “oops…I wasn’t paying attention to putting them into my mouth.” This seemed puzzling to me because when I am eating, the ONLY thing I am focusing on is getting the delicious food INTO my mouth, and she must have caught the confused expression on my face because she decided to elaborate for me. Becky smiled with a “see, adults aren’t always stupid” look on her face and nodded vigorously, then decided she had enough of that conversation and went back to “creating balance” amongst the Froot Loops. I sat there for a few seconds absorbing this statement, and then a light bulb went off in my head! Creating a balance. Here is an eight year old girl who has all the wonderful innocence of a person who doesn’t worry about career choices, fitness regimes, two/five/ten year picture decisions, romance, being a good friend/daughter/sister/cousin, etc. She is given a bowl of cereal (which I have decided is a very sugary metaphor for life), sees where there is a lack of balance, and instantly makes a decision and goes about fixing that balance. I ran through the various things that my life needs to have in order for me to to feel at peace. I checked off each thing that I am currently doing and assessed how “balanced” my current situation is. I then realized that 75% of what I need to be an all around “happy person” is in line, and I immediately found where a few things needed to be fine tuned. I keep reading these wonderful interviews that my friends and friends of friends are sending in and see that one of the hardest things for working women to do is find that life balance. They try so hard to do everything, to be everything, and to do it well without letting anyone down, and I wonder how much true balance they have in their own life. 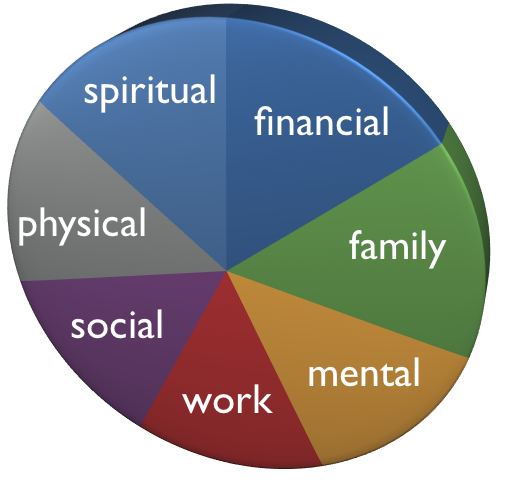 While googling images for this post I found a great site called Real Life Coaching that lists some easy tips on constantly checking the “balanced” state of your life. 1) Find some quiet time. Personal time is one of the things that gets sacrificed when people get busy. We tend to focus all our energy on helping others, trying to accomplish more than one thing at one time, meeting goals, crossing off to-do lists and just trying to accomplish everything we possibly can. 2) Take time for self-care. We must take some time to do the things we enjoy so we can love ourselves everyday. Some things we can do to nurture ourselves are: making sure we get a full 8 hours of sleep, eating a balanced diet, getting a good amount of exercise, and also positive self-talk. 3) Learn to be flexible. The biggest cause of stress in most people is high expectations. We are all guilty of this at one point of time. We have a certain expectation on how our lives must be and we get irritated when things do not fall into place. Relax! Let’s take a deep breath and try our best to have a flexible state of mind. One example that comes to mind is letting go of obligations that may no longer be enjoyable and meaningful to us. Agreeing to perform weekly tasks does not mean we need to do it forever especially if it starts to drain our time and energy. It is all right to let go of activities that no longer complement the lifestyle we want so we can have the time to commit to other things. By doing this, we can start to create a peaceful, joyful and a more balanced life. LOVE this post! Great reminders.